A little more than a year after seeing his beloved Oversea Railway reach Key West, Henry Flagler passed away at his home in Palm Beach, Florida. His home was known as Whitehall and it still stands today as the Flagler museum. Henry Flagler was the most important person in developing the east coast of Florida and rightfully considered the Father of Miami for his decision to extend his railroad from Palm Beach to Miami. Flagler also invested heavily in the early development of the City of Miami. His decision to accept land from both Julia Tuttle and the Brickell’s was the most important milestone in the creation of Miami out of tropical hammock and piney woods. A year following the celebration of the Oversea Railway reaching Key West, Henry Flagler had a fall in his home in Palm Beach. He never recovered from his injuries from the fall and died at the age of 83. The City of Miami may have had a completely different history had it not been for the investment and involvement of Henry Flagler. It is hard to imagine that it has been 103 years since his passing. Cover: Flagler with his wife in Key West in 1912. Courtesy of Florida Memory. 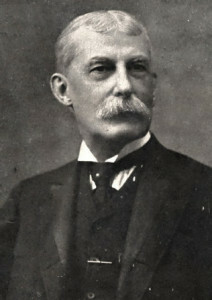 Figure 1: Portrait of Henry Flagler. Courtesy of Florida Memory.